From 26 October, the “Print Workshop” (“Melnās mākslas darbnīca“), exhibiting a variety of printing techniques, will be held in exhibition hall of the National Library of Latvia (NLL). 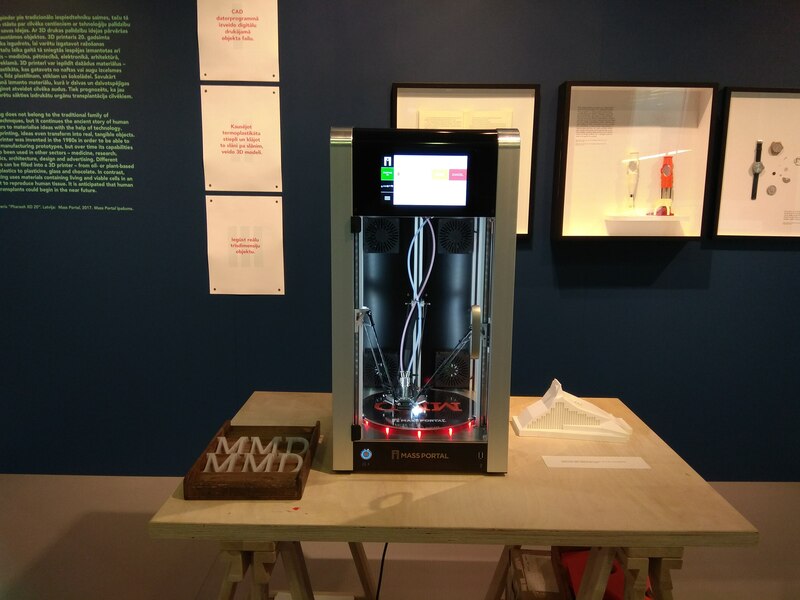 For the first time in Latvia it will be possible to see and try out different printing presses – starting from a 19th century 2D Boston printing press up until 3D printing of objects on Mass Portal Pharaoh printers. During the exhibition visitors are able to find out about various printing techniques (relief printing, intaglio, lithography, silkscreen and digital printing and 3D printing) and see different exhibits from books printed in different eras, Latvia’s first postage stamps to the very latest style of skateboard (a longboard) and an artificial leg for a stork made on a Pharaoh printer.